The search for the TARDIS crew’s missing memories takes them on a mind-bending journey from the tomb of an ancient race adrift in space to a quaint village fete – but the Doctor has a nagging feeling that they are being followed... 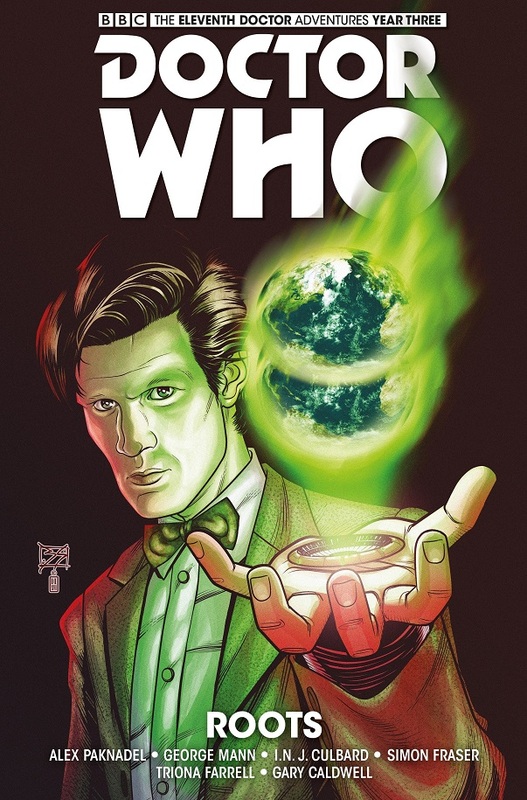 The latest storyline from George Mann (Engines of War) promises much of the strong characterisation and oddball charm that has made the Eleventh Doctor comics such a success. The fledgling TARDIS team, with the Doctor and Alice taking a kind of parental responsibility for the Sapling, should provide an interesting new dynamic.